The region lies in what is considered the “Jackpot Area,” which weather forecasters predict will receive the most amount of snowfall from the storm. By 1 p.m. today much of the region has seen heavy snowfall and high wind speeds. Snow is expected to continue to fall steadily into Tuesday night, according to the National Weather Service. According to the Massachusetts Emergency Management Agency (MEMA) outage map, there were about 180,000 residents without power as of 1 p.m.
Fire Chief Scott. T. Lachance reports that the city has been largely unaffected by power outages thus far. Chief Lachance is in contact with the city’s National Grid liaison regarding the 20 or so outages reported and they are being worked on. Residents have been heeding the warnings about staying off the roads, making things easier for public safety vehicles and plows to operate. The fire department provided mutual aid to Seekonk for a fire earlier this morning. Police Chief Christopher Delmonte reports that the town has received numerous calls for fallen trees and downed wires since 7 a.m.
As of 1 p.m., Bridgewater had about 1,500 residents without power, according to the MEMA outage map. Visibility was extremely limited with near-whiteout conditions. Fire Chief Charles Doody reports that the storm has had a limited impact on Canton as of 1 p.m. Tuesday. Only six power outages were actively being worked on and the fire department responded to four storm-related calls for service. Chief Doody reports that the town’s DPW is doing a good job keeping the roads open and that most people have heeded the warnings of staying off the roads. 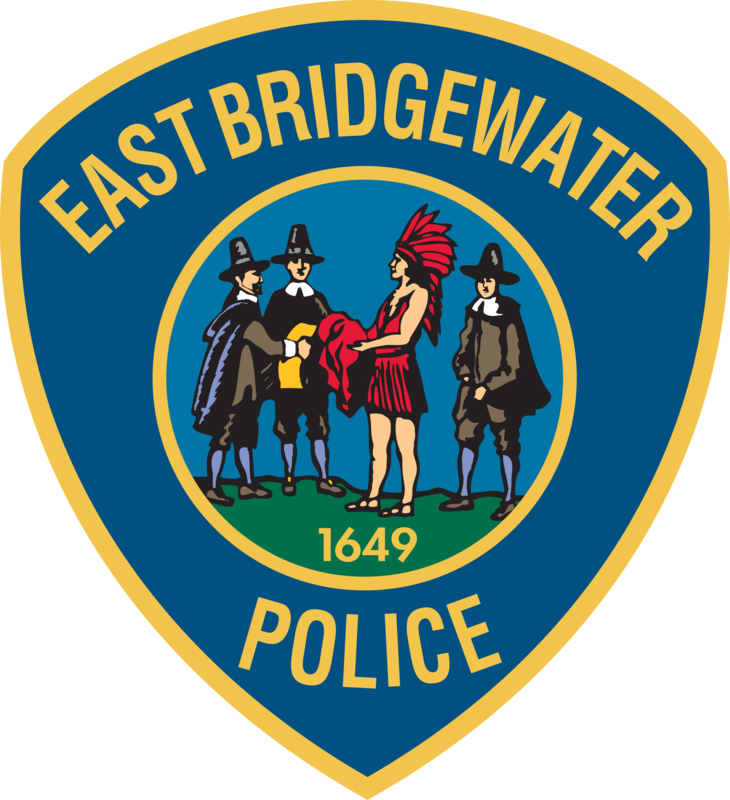 Police Chief Scott Allen reports that since 8 a.m. East Bridgewater Police have responded to 22 calls for service, including 14 calls for road hazards, trees down or wires down. There are additional police cruisers strategically setup around town to be able to safely respond to calls for service. But residents should note that it may take additional time to respond safely to calls. As of 1 p.m. about more than 600 residents in town were without power, particularly in the area of Robins Pond. The traffic lights in the center of town went down mid-morning and are still without power. National Grid has crews in town working to restore electricity. Residents are urged to stay off the roads to allow DPW workers to clear the roadways safely. Fire Chief Kevin Partridge reports that as of 1 p.m. there were about 1,600 residents without power. The fire department has received more than 48 calls for trees and/or wires down throughout the town. One tree went through the roof of a mobile home and the resident was displaced. There are also 13 road closures currently. Police are standing by at several areas with downed wires and trees. Police Chief Sullivan is encouraging everyone to stay off the roads to allow the plows to continue to work and increase the safety for first responders as they handle calls for service. A warming center has been opened at the Richardson-Olmsted Elementary School, 101 Lothrop St. Residents can use the shelter to charge their phones and electronic devices and stay warm. For more details about the warming center or if you are in need of assistance, call the Easton Fire Department at 508-230-3311. Police Chief William Smith reports that Holbrook has gotten about six or seven inches of snow thus far and it is continuing to come down steadily. Earlier this morning a tree fell down and hit a house on Holly Road. There were no injuries and the residents were able to stay inside the home. There were only about five homes in town without power as of 1 p.m., according to MEMA’s outage map. Police Chief William Pace reports that a tree fell onto a house on Mark Terrace Tuesday morning. No injuries were reported. As of 1 p.m. the town had about 150 residents without power due to the storm. Chief Pace urges residents to stay off the roads. Fire Chief James Januse reports that Raynham has had scattered power outages throughout town. As of 1 p.m., the Taunton Municipal Lighting Plant website listed about 15 streets in town where outages had been reported. The town’s highway department has been doing a great job of clearing the roads, Chief Januse said. There have been fallen trees in town but no injuries reported. Police Chief James Donovan reports that the police department has responded to 43 calls for service, including a three-car crash on Route 138. Chief Donovan notes that residents have done a good job staying off the roads today. The City of Taunton declared a State of Emergency Tuesday morning and residents are urged to stay in their homes. Fire Chief Timothy Bradshaw reports that the Taunton Fire Department has responded to more than 50 calls for service since 6 a.m. in the city. Most of the calls were for fallen trees and wires. There were also multiple motor vehicle crashes. The fire department is coordinating with the Parks and Recreation Department to remove fallen trees from roadways. The Taunton Municipal Lighting Plant has over 75 streets in Taunton where outages have been reported. Chief Bradshaw will be adding additional apparatus to be in commission from 2 p.m. through midnight, as he anticipates the call volume to increase as the day goes on. Fire Chief Timothy Grenno reports that the Whitman Fire Department has been dealing with a variety of issues today including multiple fallen utility poles, trees that fell on cars and trees blocking roads. They have responded to 25 emergency calls since 8 a.m.
As of 1 p.m., there were only about 250 residents without power, according to the MEMA outage map. Chief Grenno asks that residents who have emergencies to call 911 and not the department’s business line. They will be able to track the calls and dispatch necessary services better.